Have you seen people running or at the gym in those silly looking shoes and wondered what why they wore them? Or maybe you’ve noticed the occasional fitness expert walking outside barefoot. Maybe you even heard your holistic friend talking about the benefits of grounding. If you wonder what everyone is losing their shoes over, I’m here to help! Anti-gravity muscles lie deep in your body close to the joints. They hold your body up against gravity all day, making them pivotal in preventing pain. In your feet, tend to classify these muscles as intrinsic foot muscles. As arch-support becomes more and more popular, many worry that the intrinsic foot muscles stop working as over time and become weak. This thought has led some to use vibrams, low support shoes, or even ditching the shoes altogether. As it turns out, a study in Scientific Reports (Holowka et al. 2018) did find that those who walked barefoot has stronger intrinsic foot muscles compared to those who wear shoes. However, the study had significant flaws. It compared men from Mexico who walk barefoot with those living in a US suburb. They were unable to rule out genetic differences as well as other environmental influences. Another study (Lison et al. 2018) looked at the activation of the trunk muscles in those who wore unstable versus stable shoes who also had chronic low back pain. Those who wore the unstable shoes had increased core muscle activation, increased spine ROM, and decreased disability rating (meaning they could do more activities). Honestly, the research appears mostly limited to the change in movement patterns, mostly during running. Little research exists right now about whether or not it helps with long-term pain prevention. So instead, let’s look at what our best guesses for barefoot versus with shoes. Reduce risk of foot, knee, hip, and low back pain. Walking/running barefoot long distances could damage these muscles. Anti-gravity muscles also fatigue neurologically, meaning you don’t feel when they get tired. This means, starting a barefoot program should progress slowly: EVEN IF YOU DON’T FEEL SORE! Also, solid surfaces inhibit anti-gravity muscles. This means tile, pavement, and hard sidewalks are not good places to walk barefoot. 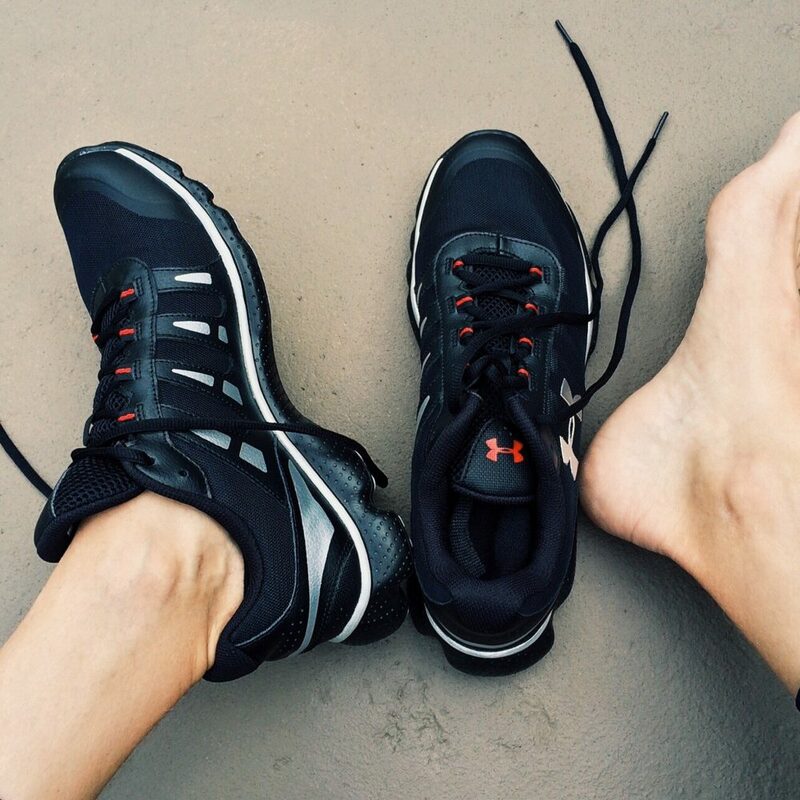 Focus on feeling your feet! Feeling your body increases body awareness, proprioception, and anti-gravity muscles! Weight shift side to side and front to back: feel how this feel on your feet and whole body. Go up onto your toes and back down. Lift your toes up off the ground, keeping the arch then put your toes back down. Pay attention to how the inside of your knee feels during this activity. You should feel a small muscle turn on as you lift your toes. This is the VMO. It helps to stabilize your patella (knee cap). Holowka NB, Wallace IJ, and Liberman DE. 2018. Foot strength and stiffness are related to footwear use in a comparison of minimally- vs. conventionally-shod populations. Scientific Reports. 8 (3679). Lison JF, Ortega-Santana B, Anton-Nogues A. 2018. Effects and underlying mechanisms of unstable shoes on chronic low back pain: a randomized controlled trial. Clinical Rehabilitation. 32 (5): 654-662.